The Metrum PQ-instrument series possesses a unique cost/performance ratio, continuously measuring energy and power quality (3-phase) and reporting all deviations to a central database. Additionally, several general purpose inputs facilitate measurements of other quantities, such as temperature, pressure, and speed. The instruments of the PQ-series are specifically designed for normative measurements in the electrical grid of utilities and industrial environments. There is a huge demand for these products due to the new international regulations for power quality issues in electrical grids and delivery points. 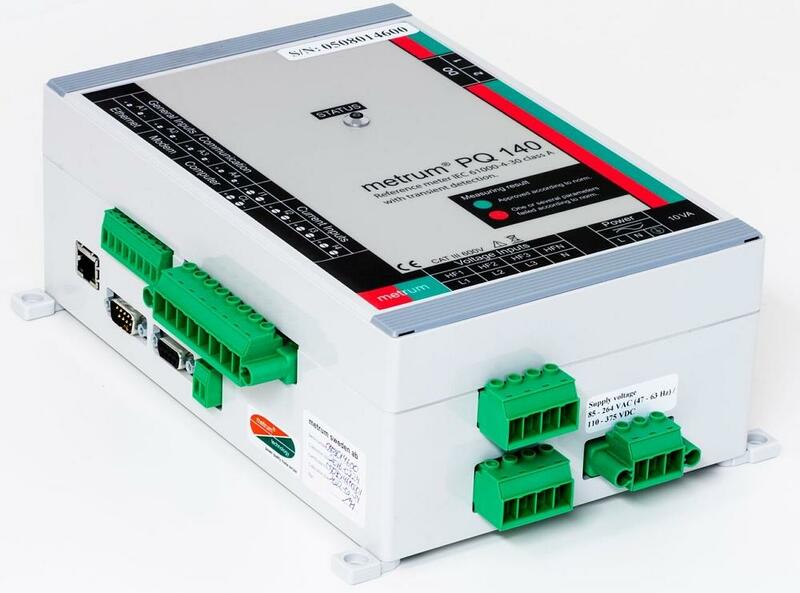 The Metrum PQ-units are developed to perform according to the class A norm (IEC 61000-4-30), and they calculate the measurement parameters according the EN 50 160 voltage quality norm. The unique function of the Metrum PQ-units is that they perform the report analysis directly in the instruments before sending the information back to the central database. The advantage of this is that less information needs to be transmitted to the central analysis system.